Did you know about Korea's Mud Festival? The world is getting smaller; our borders are slowly disappearing. And that's a good thing. Because of that, bridging the gap between cultures is essential for peace and stability. An example of how we can do that is by experiencing different cultural festivals. Cultural festivals promote learning, social bonding, and innovations. We've rounded up a list of festivals you can check out on your next trip abroad! What is it? It is an extravagant Hindu festival honoring Lord Murugan. Huge celebrations usually happen in Kuala Lumpur and Penang. Participants pierce their bodies with skewers and hooks and enter meditative states. It is done as a spiritual cleanse. What is it? The Harbin International Festival has ice artworks grouped by theme, from Chinese lanterns to European-styled churches. Ice sculptors from all over the world are invited to exhibit their work here. What is it? It is considered to be one of the biggest and most romantic festivals in Taiwan. Also called "The Little New Year," Taiwan's Lantern Festival is all about keeping traditional folklores alive. The main theme of the biggest lanterns usually corresponds with zodiac signs. What is it? 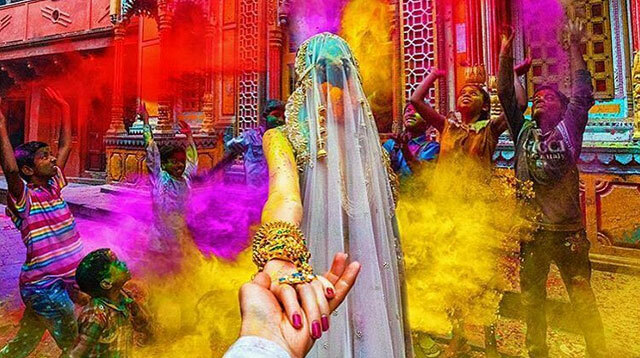 Holi or the Festival of Color celebrates love (specifically the love of Krishna and Radha), fertility, color, and the triumph of good vs. evil. What is it? Hanami or flower-viewing is a Japanese custom of admiring nature after winter. Assumed to have started in the Nara period, hanami was a way of celebrating harvesting season. What is it? Songkran is a national water fight for Thailand! It is how they welcome the Thai New Year. Songkoran is symbolically a time for new beginnings and spiritual cleansing. What is it? The mud from the Boryeong mud flats is said to be full of minerals, which is why it's used to produce several cosmetic products. It attracts 2.2 million visitors a year. What is it? According to an old folk tale, the Mid-Autumn Festival is a way for parents who've been away harvesting to make it up to their children. It is also believed that this is the time when the moon is at its biggest and brightest, which is considered to be a sign for harmony. What is it? It is the Festival of Lights! Much like Holi, Deepavali focuses on good vs. evil and light over dark. Candles and lanterns are lit to help guide the souls of the departed back to their loved ones.